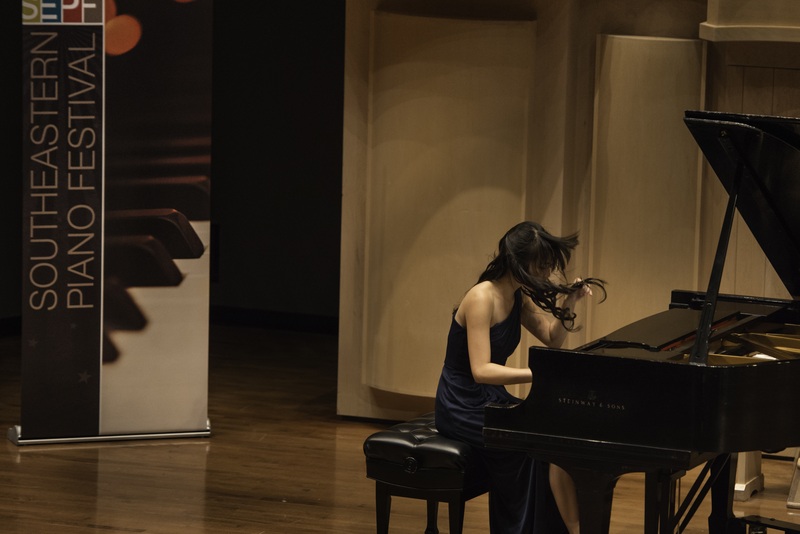 There is always nervous hush that comes over the participants, when the number drawing ceremony for the Arthur Fraser International Piano Competition begins, and this past Sunday was no exception. The 2017 Southeastern Piano Festival participants were quiet, as one by one they came to draw their respective numbers that would determine the order of the performances in the Arthur Fraser International Piano Competition that takes place this Friday, June 23, 10 AM – 9:30 PM at the University of South Carolina School of Music Recital Hall. The competition will be live streamed – just go to the southeasternpianofestival.com home page to view it as it unfolds.